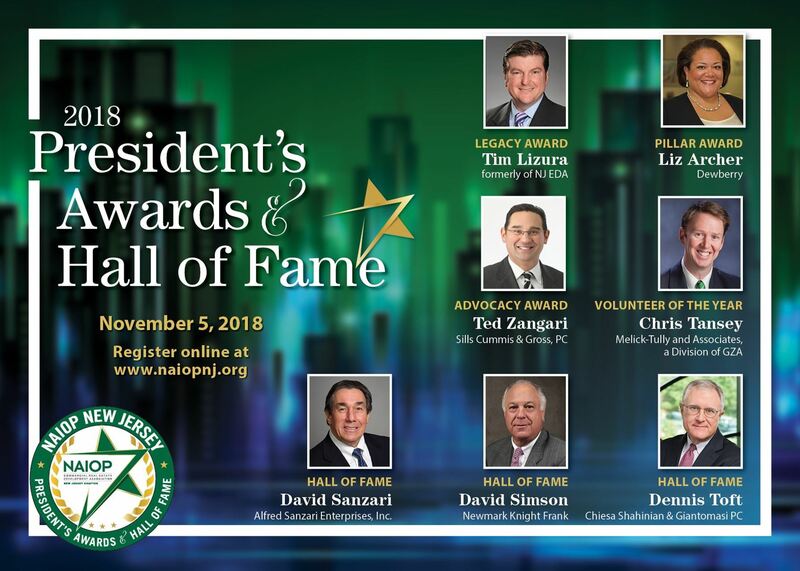 Honoring Volunteerism and Service to NAIOP NJ. Watch the highlight video by Gary Gellman. 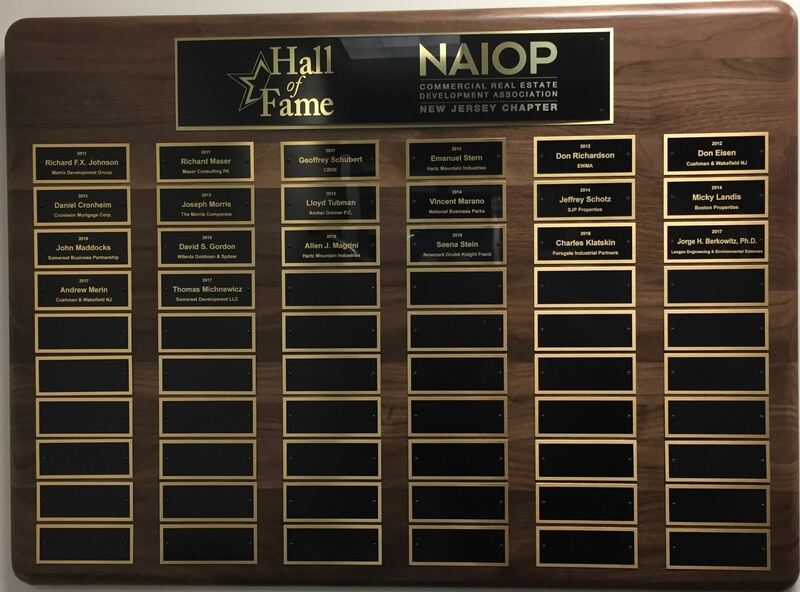 Hall of Fame Class of 2017: Thomas Michnewicz, Somerset Development; Andrew Merin, Cushman & Wakefield; and Jorge Berkowitz, Langan Engineering & Environmental Services..
Hall of Fame Class of 2016: Seena Stein, Newmark Grubb Knight Frank; Allen Magrini, Hartz Mountain Industries; Charlie Klatskin, Forsgate Industrial Partners. Legacy Award: Herman Simonse, Bellemead Development Corp. Pillar Award: Ralph Orlando, P.E., Partner Engineering & Science Inc.
Volunteer of the Year: Anne Strauss Wieder, A. Strauss Wieder, Inc. Pillar Award: Gretchen Wilcox, G. S. Wilcox & Co.
Over the previous five years we honored committee volunteers who have gone above and beyond in service to the association. The honorees were selected by the chairs of their respective committees, with the exception of our Iron Man/Lady honorees who were selected by the President. Iron Lady: Anne Estabrook Elberon Development Co. Legislative: Kevin Moore, Sills Cummis Epstein & Gross P.C. Regulatory Affairs: Andrew Robins, Giordano, Halleran & Ciesla, P.C. Legislative: Diana Fainberg, Diana E. Fainberg, Inc. Note: Company affiliations may have changed since the awards were presented.